New Delhi, November 22: Flipkart founders Sachin Bansal and Binny Bansal have reportedly been served Income Tax notices over the Flipkart-Walmart deal. The two have been asked to explain their income arising out of the sale of Flipkart to Walmart International and capital gains. According to a Times of India report, similar notices have been sent to 35 other stakeholders of the company. Walmart's Takeover of Flipkart Gets Clearance From Competition Commission of India. The report says that the notice was sent to the stakeholders on October 18 and the Bansals are yet to respond to it. The other stakeholders have reportedly begun furnishing details to the IT department. Walmart India to Invest USD 500 Million to Open 47 More Stores. On August 18, Walmart had informed that it has completed a deal with Flipkart and holds 77 per cent stake in the Indian e-commerce major. Both Sachin and Binny Bansal held over 5 per cent stake in Flipkart before the deal was sealed. 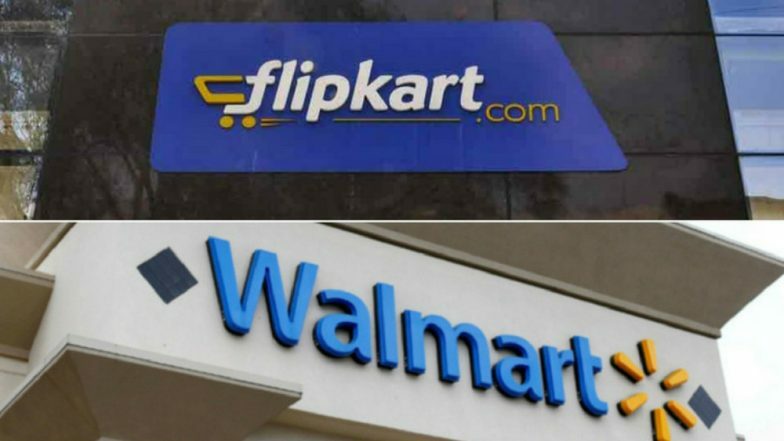 The Income Tax department had earlier this year also served a notice to Walmart, asking it to furnish details of 46 shareholders of Flipkart. Walmart India has said it would invest about USD 500 million(about Rs 3,200 crore at the current exchange rate)to open another 47 stores by 2022 to take the total number of outlets to 70.